Fire Investigators may be looking at the role Southern California Edison utilities could have played in the region’s wildfires. Southern California Edison on Tuesday said it believes fire officials are investigating the company for its possible role in the catastrophic wildfires raging across the region. About 250,000 acres have been burnt by multiple wildfires since last week, triggering some of the largest fire evacuations in the region’s history. Nearly 1,000 structures have been lost, and one person died in the fires. 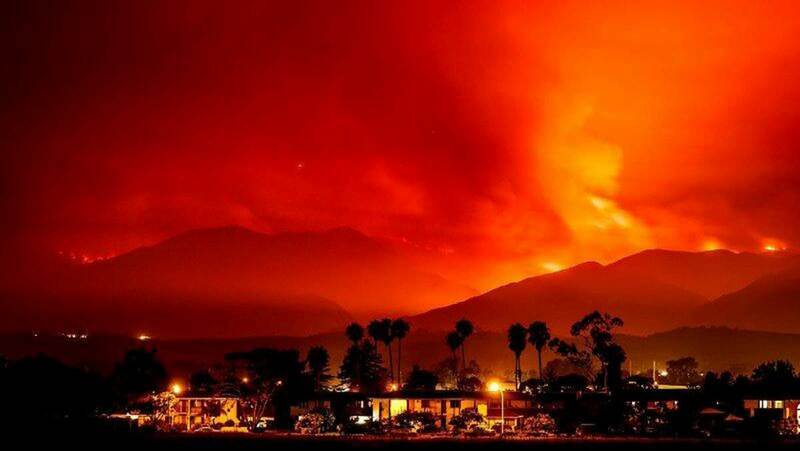 The largest of the blazes, Ventura County’s Thomass Fire, continues to rage and is now the fifth largest in state history. The fires broke out during an intense Santa Ana windstorm that downed power lines across Southern California. The cause remains undetermined for most of the wildfires with the exception of Bel Air’s Skirball Fire, which investigators traced to a homeless encampment cooking fire. In a press release, SCE officials said they believe CAL FIRE investigators are looking at the role of its utilities. It’s not the first time this year that a utility has been investigated for its role in California’s wildfires. Authorities have been investigating Pacific Gas & Electric as a potential factor in the wine country fires that killed dozens of people.